When a user logs in successfully to your PrestaShop back office panel. 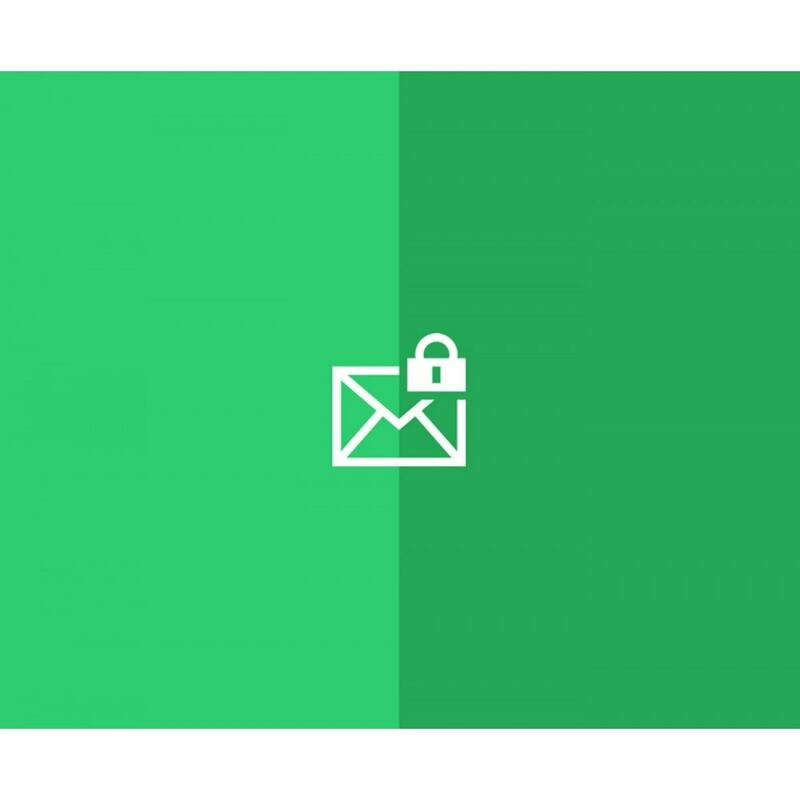 the module sends an email to the administrator with the date,user email, IP address, user agent and HTTP referrer. When someone fails to login to your PrestaShop back office panel. 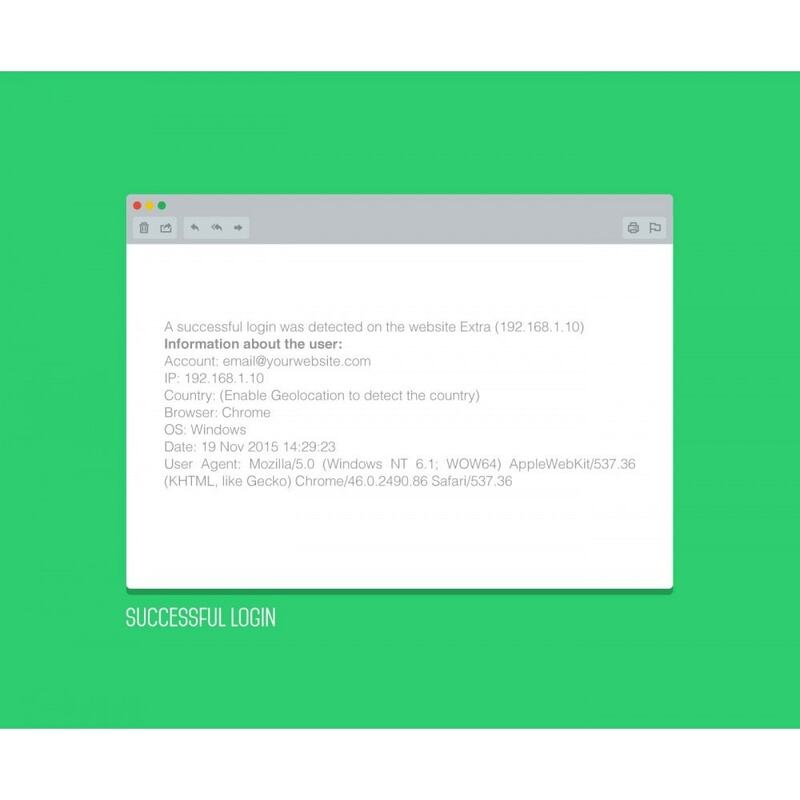 the module sends an email to the administrator with date, login used when trying to connect, IP address, user agent and HTTP referrer. Does not require extra configuration. 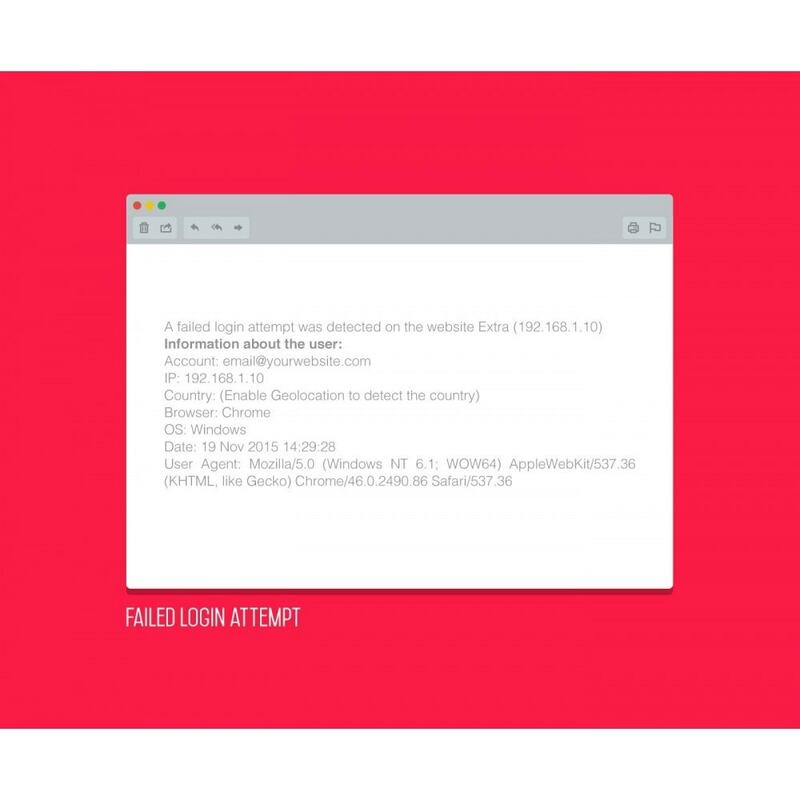 Detects successful and failed login actions. Protects from brute force attacks simply by blocking hacker's IP address.